MACDILL AFB, Fla. (June 21, 2016) – Former University of Notre Dame and University of South Carolina head coach Lou Holtz spoke to service members and government civilians at U.S. Central Command headquarters yesterday. In addition to his distinguished coaching career, Holtz, 79, is well known for his motivational speeches based on three pillars: do what’s right, do everything you can to the best of your ability and show people you care. Holtz has great admiration and respect for the troops and volunteered to visit CENTCOM to share his experiences and lessons learned. He believes the challenges he faced as a football coach can translate to any career, including the military. Holtz trained under the Army Reserve Officer Training Corps (ROTC) while attending Kent State University, earning a commission as a field artillery officer upon graduation. During his talk with the troops, and in between nodding heads and spurts of raucous laughter from the audience, Holtz delivered an assortment of humorous, but true words of wisdom and stories of problems he faced that went well (or didn’t). All the while, the retired coach maintained the importance of teamwork, goals and caring for others. Holtz then expanded on the importance of teamwork in the military environment. Holtz met with CENTCOM commander U.S. Army Gen. Joseph L. Votel just before the speaking engagement. 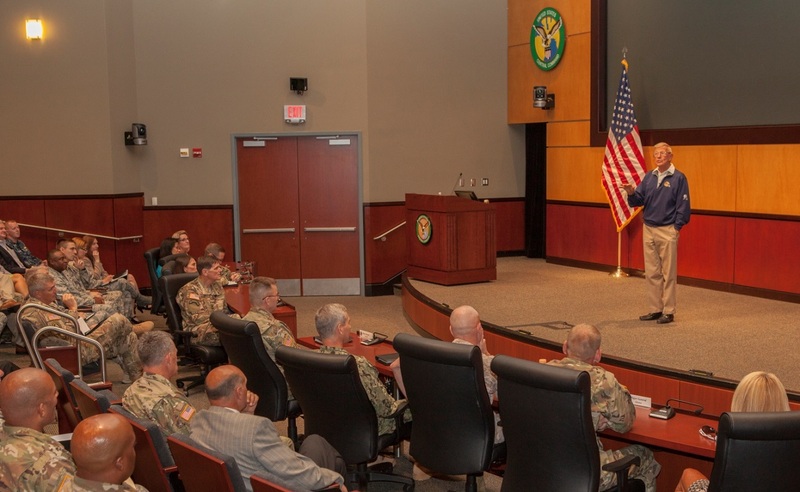 Votel briefed the retired coach on daily life at the headquarters and what his goals are for the CENTCOM Area of Responsibility. The two spoke also spoke about family, football and life in general. After the speech, Holtz spent time to take a picture with any service member who wanted one, provided his contact information, and offered to autograph any photograph taken that day.